Vajrasattva-The Diamond, or Adamantine Being - is the main deity employed for purification by practitioners of all levels of tantra. 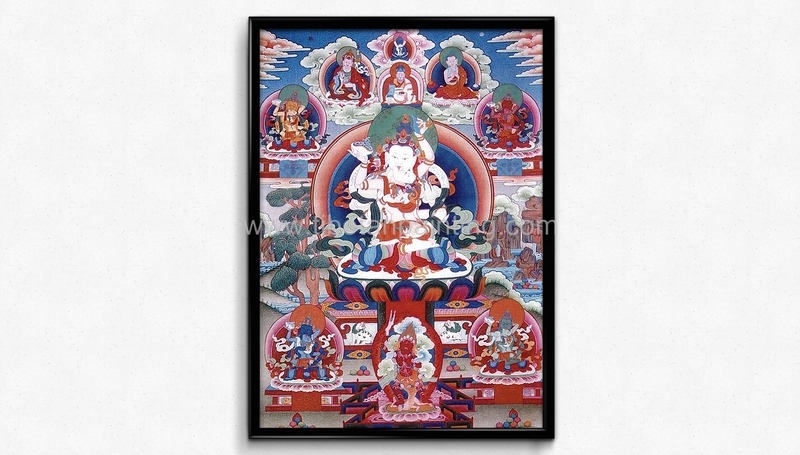 Vajrasattva is white in color, signifying his immaculate purity. Like Vajradhara, of whom he is an emanation, he holds a vajra symbolizing method in his right hand and the bell of wisdom in his left. Although, the solo Vajrasattva is sometimes depicted as sitting with his leg partially outstretched, here he is in unshakable vajra posture. 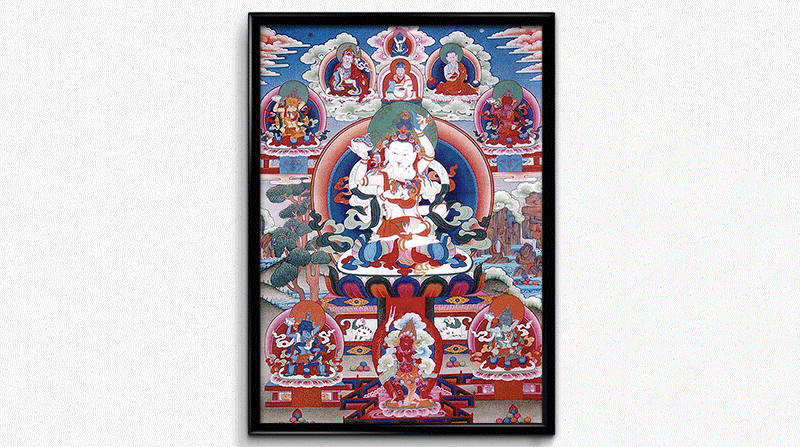 Again, Vajrasattva wears the beautiful silken garments and jeweled ornaments of ancient Indian royalty.